Last week’s news that 40 major banks had completed a series of tests of smart contract technology running on a variety of blockchain and cloud offerings made the headlines for its scope and scale. It also represented a significant – though still baby – step for R3 CEV, the New York City-based fintech vendor that facilitated the experiment, which has a goal of creating a design for a global distributed ledger for the financial markets, and some specific business applications to run on it. Perhaps the biggest achievement of last week’s tests was actually getting such a large number of banks to work together at all, and points to a key strength of R3, which is its relationships with major financial players. Those connections stem in large part from the company’s founder, David Rutter, a veteran of the financial markets who was for a decade the CEO of the electronic trading division of ICAP, a major institutional brokerage – a role that would have brought him into regular contact with the business leadership of the world’s largest banks. R3 was founded in 2013. In addition to working on crypto technology (the C in CEV), it also develops electronic trading marketplaces (Exchanges, hence the E in CEV) for OTC instruments, including LiquidityEdge, a hub for trading U.S. Treasuries. The company’s third focus is early-stage venture investing in fintech companies (the V in CEV). 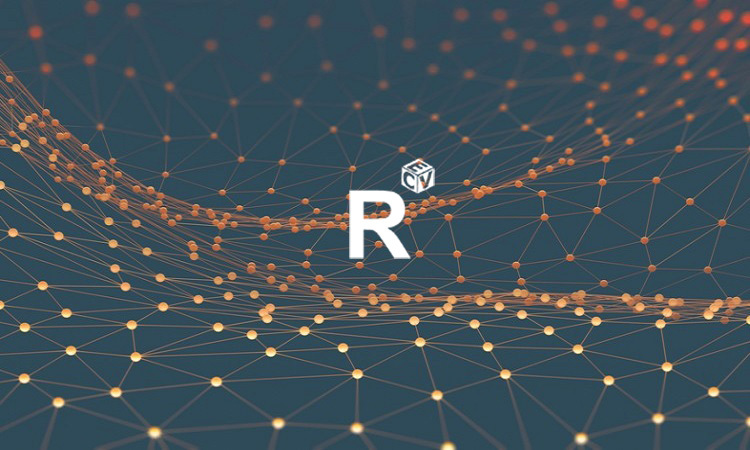 Since announcing in September 2015 that it was actively working on blockchain technology by forming a consortium of banks – now known as the Distributed Ledger Group and comprising 42 banks, who contribute financially to the project – R3 has (along with the likes of Digital Asset Holdings and Symbiont) been closely followed as being a credible attempt to bring blockchain approaches to re-invent trade processing in the financial markets. Unlike Digital Asset Holdings’ approach of joining forces and receiving investment from a broad range of financial markets players, R3 has thus far focused on major global banks, with its consortium comprising: Banco Santander, Bank of America, Barclays, BBVA, BMO Financial Group, BNP Paribas, BNY Mellon, CIBC, Commonwealth Bank of Australia, Citi, Commerzbank, Credit Suisse, Danske Bank, Deutsche Bank, JPMorgan Chase, Goldman Sachs, HSBC, ING Bank, Intesa Sanpaolo, Macquarie Bank, Mitsubishi UFJ Financial Group, Mizuho Financial Group, Morgan Stanley, National Australia Bank, Natixis, Nomura, Nordea, Northern Trust, OP Financial Group, Scotiabank, State Street, Sumitomo Mitsui Banking Corporation, Royal Bank of Canada, Royal Bank of Scotland, SEB, Societe Generale, Toronto-Dominion Bank, UBS, UniCredit, U.S. Bancorp, Wells Fargo and Westpac Banking Corporation. Joining Rutter at R3 – which now has a staff of around 30 and is still recruiting – are a number of well-known technologists from the blockchain and financial markets space. Finance veterans Jesse Edwards and Todd McDonald are CFO and COO, respectively. 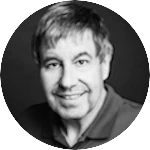 Richard Brown, a former banking technology architect at IBM, is now R3’s CTO. On his team are former Barclays technologist James Carlyle as Chief Engineer, cryptographer Ian Grigg as Architecture Consultant, former Bitcoin Core developer and Google technologist Mike Hearn as Lead Platform Engineer, and blockchain pundit Tim Swanson as Head of Research. As such, the business application was well understood by the banks involved, allowing them to focus on understanding smart contract approaches and the functionality of various blockchains. Running the tests in cloud environments – those used were Amazon’s AWS, IBM’s Cloud offering and Microsoft’s Azure – also made it relatively painless for the banks to participate in terms of their need for IT infrastructure. The vendors that provided blockchain technology to R3’s newly formed Global Collaborative Lab for the tests were Chain, Eris Industries, Ethereum, IBM and Intel, with each running smart contract technology programmed to execute identical business logic. Eris made use of its own Tendermint-based ErisDB blockchain as well as an Ethereum instance. The surprise in the vendor list was Intel, which has developed distributed ledger software that it plans to open source. Intel’s offering leverages its proprietary Software Guard Extensions technology, allowing for a cyber attack-proof sandbox in which to run applications. By bringing its consortium members up to speed on what blockchains and smart contracts can offer and how they work, R3 may well find it easier to work with them to agree on requirements for their key goal of creating a distributed ledger design for the financial markets, which it has termed a Global Fabric for Finance (G3F). A general purpose design on which different financial markets instruments, models and use cases can be implemented. A design implemented for use among trusted parties, so there is no need for mining/block rewards. Provisions for compliance, privacy, reporting and reconciliation as required by financial institutions and regulators. An open sourced design based on open standards. As a member of the Linux Foundation’s open source Hyperledger project, R3 is expected to contribute G3F to the project and may well end up using collectively developed code for its own use as it evolves its distributed ledger platform. Following on from the creation of the G3F, R3 is looking to develop “up the stack” commercial applications, perhaps providing them as transaction-based services, a model that Rutter will be very familiar with from his previous experience. Indeed, these new products and services will no doubt be required to maintain the company’s revenue long term as consortia funding for base level distributed ledger platforms fades, once they become established.